Yeah Samaké is Mayor of Ouélessébougou, Mali, and, until a military coup unseated the government in March, was a presidential candidate in the 2012 presidential election. Mr. Samaké (Masters, Public Policy) has directed the Mali Rising Foundation since 2004, a non-profit organization that builds schools in rural Mali. As Mayor, he helped Ouélessébougou become one of the top ranking economies in Mali, he organized local councils to foster democratic voice, and he promoted the education of government officials on the importance of good governance and transparency. He was elected Vice President of the League of Mayors in 2011. Mr. Samaké will discuss his efforts to make democracy work as Mayor of Ouélessébougou, the recent challenges to democracy posed by the coup, and the future prospects for democracy in Mali. Please RSVP to csd@uci.edu by Friday, May 11, 2012 as seating is limited. A light lunch will be served so your response is required. The Muslim Student Union at UC Irvine presents its annual Palestine Week during Week 6 [5/7/12 – 5/10/12]. This week, titled “Palestine Liberation Week: Getting to the Root of the Occupation” aims to educate and raise awareness on campus about the plight of the Palestinian people, who have been living under illegal occupation for almost 64 years, with the hope that this knowledge will turn into action. MSU is hosting a number of events and will be out on Ring Road everyday throughout the week! Specifically the event: “Apartheid Resurrected: Parallels Between Israel and Apartheid in South Africa” next Tuesday, May 8th at 8 PM in the Student Center Crystal Cove Auditorium. This talk is given by Omar Shakir a activist, he has an MA in Arab Studies from Georgetown University and a law student at Stanford University School of Law. For more information about Palestine Liberation Week, visit www.ucimsu.com. 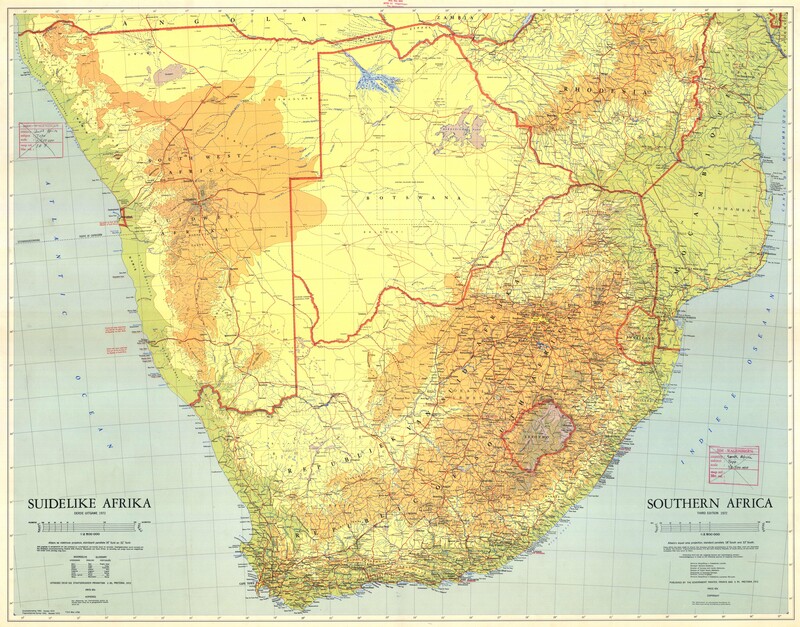 Reminder: the extra lecture on the Anti-Apartheid Movement and Global Context is Monday 4/30. 1100 Donal Bren Hall. I hope to see some of you there. If you want extra credit, look for me or Dan, and sign in. 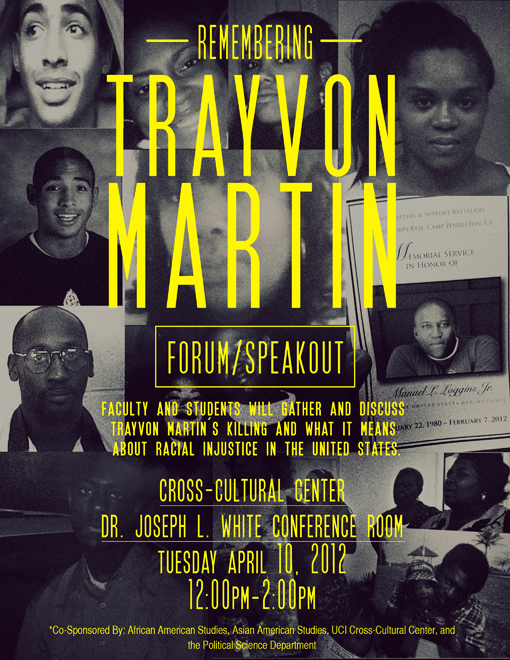 UCI faculty and students will discuss what Trayvon Martin’s killing means for race and racial injustice in the United States.